This small family-run cognac producer from Berneuil insists that their cognac is not merely of standard quality. This can be validated by the fact that the Petit family works with traditional methods handed down form their grandparents and harvest the grapes manually. This is almost extinct in the cognac industry due to growing demand and the production of high quantities. André Petit came to some sort of fame in the industry by stopping their contract with Hennessy in the 1960s and deciding to produce themselves. Like many small producers from the Cognac region, they also specialize in the making of Pineau des Charentes. Tasting review: A fine nose, very complex notes, strong rancio, vanilla and old dark fruit. Round and smooth. Tasting review: Nose : Rich and balanced, some oak and spices. Some flower, and tobacco leaves. Palate : The taste impressive and old, the finish is long and fresh. Tasting review: Some floral aroma, and a good note of wood. May be mixed in a cocktail. Tasting review: Nose : A clear presence of vanilla aroma Palate: The vanilla continues, along with floral hints, some sweet and some spice. In 1850, a certain Monsieur Goulard, who was the grandfather of current owner Jacques Petit's grandmother, was a weaver. The man lived and worked in the midst of the beautiful vineyards in the region of Cognac. One day, Mr. Goulard decided to build a distillery for cognac, supported by his cousin, who worked at the Hennessy distillery at that time. After years of turbulent times and wars as well as vine epidemics of phylloxera and mildew, production finally recovered and the distillery took on the name of Petit in 1921. The name Petit actually comes from Jacques Petit's grandmother's marriage to Albert Petit. 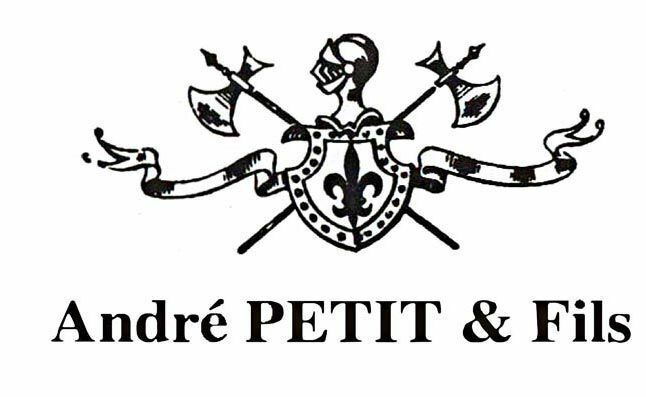 For decades, the Petits contracted most of their eaux-de-vie to Hennessy until in 1965, Jacques's father André Petit, who also introduced the name "André Petit & Fils" (André Petit & son), made a brave move in stopping the existing contract with Hennessy. He had been making his own cognac and Pineau de Charente since some years and believed that he could produce his own high quality product. From harvest to distillation, aging and bottling, André Petit cognac remains to be an independent cognac house selling from the small village of Berneuil in Charente. Jacques Petit continues to run the family business with a firm belief in the uniqueness of every vintage. He is regarded as somewhat of a radical in the industry, as he does not abide by the rules of standardised cognac, which means that every bottle tastes the same. He believes that every year has a very distinct character (due to the weather and growing conditions) and accepts the fact that some years are better than others. This makes Cognac Petit a coinnesseur's cognac, appreciated by those who want to taste different nuances. André Petit Cognac applies a very old-fashioned distillation procedure, where the pot-stills are heated over an open fire. Their cognacs won a bronze medal at the International Wine and Spirits Awards in London in 1998 and other awards at renowned competitions since, which is a huge achievement for a small producer like André Petit. One would not make the connection...but André Petit coganc is sold in all the EURODISNEY hotels. Jacques Petit collaborates with Claire Coates, former head of marketing at the BNIC, in producing the cognac-based drink So Yang. Cognac Napoleon by Petit can also be enjoyed iced, meaning directly from the freezer. It marries very well with chocolate deserts. You should call to make sure someone is home, but a visit to this very intimate cognac house is worth is and Jacques Petit will happily show you around. Open for visits all year around, from Monday to Saturday 8h to 12.30 and from 13.30 to 18h. Tasting & information about Cognac from distillation to the glass. Grand Réserve de Famille is a excellent drop of vintage. Taste like blueberry muffin with a marcipan finish as per Moritz Eltz.